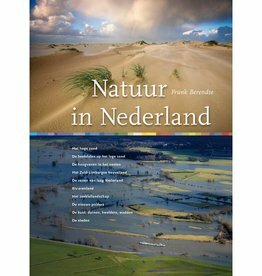 Spiegel van de natuur is a completely renewed and expanded edition of the book 'De natuur als beeld in religie, filosofie en kunst’, published in 2001. In contrast to the 2001 edition, which was very exuberantly illustrated and came out as part of the exhibition of the same name in the Nieuwe Kerk in Amsterdam, this reissue is mainly a reading book. Author Matthijs Schouten, who applies the philosophical note in thinking about nature to Staatsbosbeheer, provides an objective and interdisciplinary overview of the way in which nature is expressed in all major world religions. Because every culture has another way in which it looks at nature. For example, Islam speaks about the many life lessons that Allah made in nature. Buddhism approaches nature from an attitude of respect for all living beings. In the West, on the other hand, we have mainly seen nature in terms of utility and usability. The various expressions are explained in Spiegel van de natuur on the basis of various forms of art, poetry and prose. Spiegel van de natuur encourages the reader to think about his own image of nature, and thus to reflect on the future of nature. Matthijs Schouten studied biology, comparative religious studies, eastern philosophy and Celtic language and literature. As an ecologist and natural philosopher, he is associated with Staatbosbeheer. He is also Professor of Nature and Landscape Protection at the universities of Cork and Galway (Ireland) and Emeritus Professor in Ecology and Nature Management at Wageningen University. In the research for Spiegel van de natuur, he was assisted by art historian Marcel van Ool.